The Aggression Fighting Championships 19 took place last night (Friday, July 5, 2013) from inside the Shaw Conference Centre in Edmonton, Alberta. Two Canadian promising up and comers captured AFC gold over tough competitors. 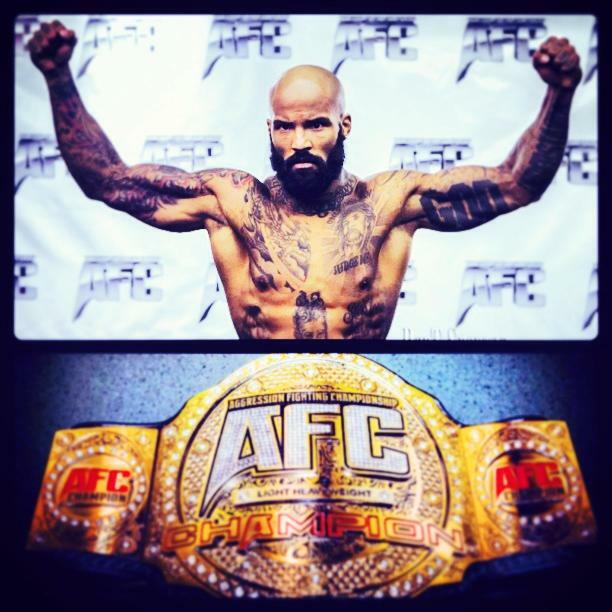 In the night’s main-event, Ryan Ford submitted Michael Hill by rear-naked-choke in the 5th round to become the AFC welterweight champion. In the co-main event of the night, London, Ontario’s Jesse Ronson also submitted his opponent Shane Campbell by rear-naked-choke in the late moments of the second-round. Ronson captured the AFC Lightweight title.